This is an important decision because it will determine what information you end up sharing. 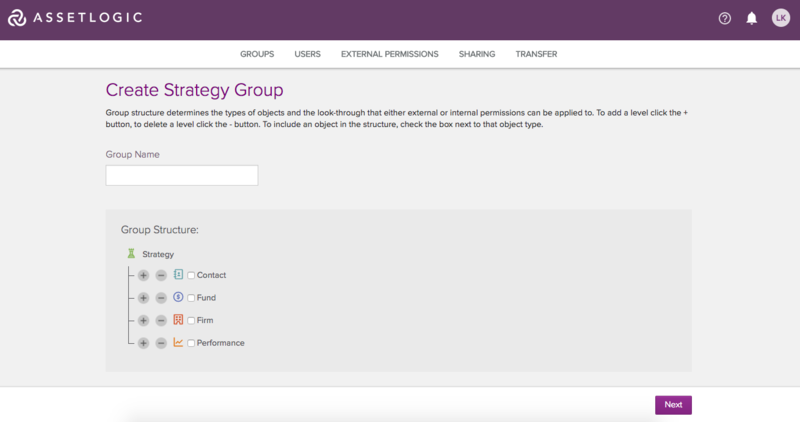 Most of the groups you will create will be Strategy or Fund groups so start with these. Then go through the menus you are given to select what objects you want to see at each level. How can I delete a group? How many groups do I need?